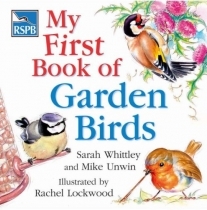 A beautiful picture book about garden birds that will appeal to families with young children. Rachel Lockwood's wonderful illustrations will delight children aged from two to seven, and will help them to discover and identify the most common birds in their everyday surroundings. Each bird is introduced on a right-hand page in an illustration where it is partly obscured or turned away from the viewer. The text gives some clues and invites readers to guess the bird's identity. The reader then turns the page to find out more.